Drinking 8 glasses of purified water is a brilliant way to keep your skin hydrated. Your skin can become drier, tighter and even itchy if you fail to drink enough quantity of water. This can result in wrinkles, fine lines, and other skin problems. So, it’s necessary to divide the quantity of water you consume into smaller amounts and spread it all throughout the day. It is said that your skin is a mirror image of what you eat. The food you eat could be the reason to develop wrinkles and sagging skin of your face. There are many vitamins and antioxidant-rich foods that can help to keep those dreaded aging skin away. These include fruits like papaya, green leafy vegetables, beans, herbal tea, and strawberries. Aside from following a good diet, exercise also plays a significant role in skin health. Exercising every day will help refresh your skin, increase blood circulation and increase strength in your muscles. You will surely have a glowing skin if you have a regular exercise routine. Doing facial exercises for wrinkles regularly is an effective way to firm your skin as well as reduce the appearance of lines and wrinkles. Moisturizing should be a main part of your skincare routine. This is particularly important as you grow older. After a shower, moisturize your body and it will help to keep your skin supple and soft as well as save it from damage. Apply moisturizer at least two times a day. Do not forget that dry skin can lose its softness, and that can cause wrinkles. Additionally, a moisturizer will give protection to your skin during cold weather season. Since you regularly following the process of moisturizing and cleansing your skin, there are some additional steps you need to follow. To remove dead skin cells and refresh your skin, you should scrub your skin at least once a week. Also, you should get your skin cleaned by professionals after every ten to fifteen days. Remember that blocking of skin holes as a result of oil, pollution, and dust will help to age. Therefore, it is very important to keep your skin clean all the time. 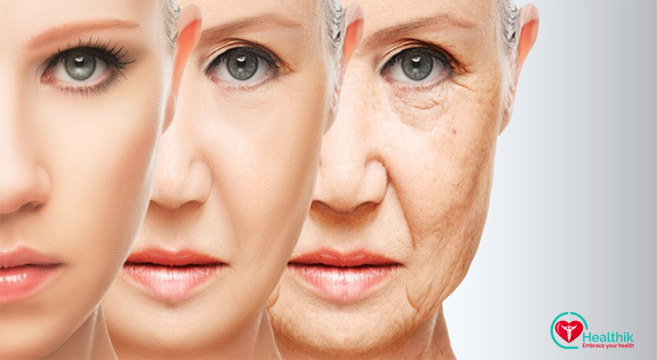 Hope that these anti-aging skin care tips will help you to slow down the aging process so you can look young and beautiful at all times. Always remember that aging is a natural part of a healthy life. The aim is to age well, not to stop aging completely.